This coming Biodiversity Week will which runs from next Saturday, May 19 to Sunday, May 29 will be a treat for anyone who has a fondness for wildlife. With more than 30 free events taking place, it is set to be a great opportunity for Kildare people to find out more about nature and wildlife in their county. The events will cover all aspects of Kildare’s natural heritage, which have been organised by across the county by local wildlife group, libraries and Tidy Towns groups. Biodiversity is the interaction that is essential for life, giving us all the things we need, including clean air, water, agriculture, food and amenity. The events will be run by Wild Kildare, Tidy Towns groups, the Irish Wildlife Trust, local libraries, Kilcullen Community Action, Maynooth University, Kildare Bat Group, Kildare Bird Watch and the Irish Wildlife Trust. And the STEAM programme in Kildare Library Service are providing a number of wildlife focused events for the schools throughout the county including Éanna Ní Lamhna who will discuss Irish Mammals, Birds and Insects. 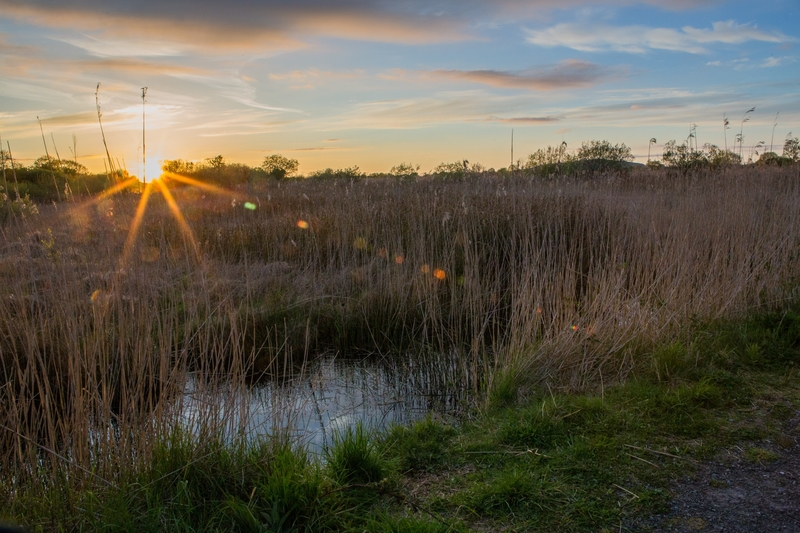 Kildare Biodiversity Week has been organised to develop awareness of the importance of biodiversity and to better understand its value to the local, national and international communities. Speaking to the Leinster Leader, Bridget Loughlin, the County Kildare Heritage Officer and coordinator of the week-long programme of events, encouraged locals to get out into Kildare’s Biodiversity, to visit Kildare wild spots, lakes, rivers, bogs, woodlands or to simply enjoy the biodiversity of their back garden. Event guides are available in all libraries, Heritage Centres and at Kildare County Council’s offices. All events are free but some may need to be booked. Please note all school events are fully booked. Children are welcome but should be accompanied by a responsible adult. Please dress suitably for the weather.Dogs must be on leads. Wildlife Gardening Talk with Irish Wildlife Trust at Kildare Town Library at 2.30 pm. An extremely popular topic, this talk gives practical advice on how we can all do our bit to protect our native biodiversity with some simple changes to how we garden. From window boxes to big gardens we can help our native biodiversity. Come along to Athy Library and learn how you can do your bit to protect our native biodiversity with some simple changes to how we garden. From window boxes to big gardens we can help our native biodiversity. Interested in doing your bit for biodiversity in your own garden? Come along to Leixlip Library and learn how you can do your bit to protect our native biodiversity with some simple changes to how we garden. From window boxes to big gardens we can help our native biodiversity. Kilcullen Community Action and Tidy Towns will host an afternoon exploring biodiversity in the Liffey. Samples will be taken from the river to explore the creatures that inhabit the river. You will be lucky enough to have a diversity of insects and an abundance of fish to look at on the day. This event is targeted towards children and will include a hands on approach with an identification session and information on how to study these animals. Meet outside the Town Hall next to River Liffey. Bring appropriate clothing to suit the weather. The event will be facilitated by water life expert Dr Jan Baars of the UCD School of Biology & Environment Science. The event will start at the Bog of Allen Nature Centre with a talk introducing participants to Lodge Bog Nature Reserve and describing the decline in some of Ireland’s iconic breeding waders over the past 25 years. The talk will be followed by a walk to Lodge Bog where participants will observe waders, such as Curlew and Lapwing, in their natural breeding habitats. The walk will be led by IPCC’s Conservation Officer who will showcase the bog restoration works that have been completed on Lodge Bog and will discuss the monitoring and conservation work that is taking place to protect breeding waders. This activity will include walking across difficult wet boggy terrain so strong footwear is recommended. For those who do not wish to take part in the walk there will be fun bog biodiversity activities at the Bog of Allen Nature Centre. Activities will include pond dipping and searching for frogs, newts and creepy crawlies in the wildlife gardens. Light refreshments will be provided. Wild Kildare in association with Newbridge Tidy Towns invite you to come along to look and enjoy a walk along the River Liffey and within the Liffey Linear Park in Newbridge, observing the wildlife in the Park. This family friendly event will be guided by members of Wild Kildare, and is suitable for all comers. As it is a riverside event, children should be accompanied by a responsible adult at all times. On street parking is available on the nearby Main Street in Newbridge and there are disabled parking bays opposite the “Watering Gates”. Afterwards participants will have an opportunity to visit a nearby Swift colony and one of our joint Swift nest box projects close by in the town. Join Birdwatch Ireland Kildare branch for a talk in Naas Town Hall followed by a walk around the town to identify and appreciate the birds present. Meet at Naas Town Hall at 6.45 pm. Creating native habitats and planting for pollinators in any space from small to large in your garden or in your community. This event will bring together a host of local experts on biodiversity, wildlife and pollinators, for a practical evening on how to get to know your pollinators and local wildlife, how to get to know the best plants for pollinators and how to develop your garden or community space into a pollinator and wildlife friendly area by introducing a variety of native habitats. Join Catherine Farrell (Ecologist, Bord na Mona), Ray Stapleton (Lullymore Heritage Centre) and Monica de Bath (Artist, Creative Rathangan) for a general walk around the boardwalk in Lullymore to discuss biodiversity, community and art working together. Booking is essential. Text 087 2425471 to book. Meet in Lullymore Heritage car park. Please stop at admissions office at entrance to Park and inform staff member that you are taking part in the Biodiversity Walk. Irish Peatland Conservation Council in partnership with Waterways Ireland and Allenwood Tidy Towns will be hosting a Grand Canal biodiversity and heritage walk. Meeting point is at the banks of the Grand Canal at Bond Bridge in Allenwood. Come along to Naas and learn about bats with Kildare Bat Group. Meet at the library steps at The Harbour in Naas and walk from there to Old Town and back. Please email kildarebatgroup@gmail.com if you would like to join us. No dogs allowed. An introduction to the world of bees and butterflies and the role they play as pollinators for our crops. We will also look at the variety of bees and butterflies in Ireland and how to identify and record them. Suitable for all age groups. Please join us for a series of talks and demonstrations on managing and recording biodiversity. Open to staff, students and members of the public. Please contact james.carolan@mu.ie or 01 708 6367 for more information. Join Birdwatch Ireland Kildare branch for a walk in Pollardstown Fen, Pollardstown, (near Newbridge) County Kildare, to identify and appreciate the birds present. Meet in the car park at 7.00 pm. Come along for a talk on community supported agriculture followed by a farm walk at Derrybeg Farm. All welcome. Suitable for children. Please wear boots or wellingtons, especially if the weather has been wet. Visit the Bog of Allen Nature Centre, Lullymore and enjoy a butterfly walk to Lullymore West Bog. There will be activities at the Centre for those not wishing to participate in the Walk. Join us for a wander in Killinthomas Woods and learn about its history, flora and fauna. Meet in the main car park. Path is suitable for buggies in most places. Suitable footwear should be worn.